You are currently browsing the tag archive for the ‘Lula’ tag. Brazil won the right to host the 2014 World Cup five years ago yesterday. Since that decision was made, Brazil’s politicians have repeatedly assured us the tournament would be organised efficiently, transparently and with a minimum of cost to the taxpayer. “Public money isn’t going to be used for the World Cup,” said Ricardo Teixeira, the former head of the CBF. 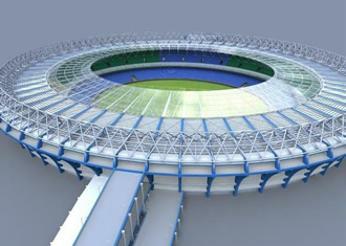 “There won’t be one cent of public money used to build stadiums,” said then Sports Minister Orlando Silva. We can now see that none of it was true. The vast majority of the money being used is taxpayer’s money. Transport projects, the ones that would lave the biggest legacy for Brazilians, and especially the less well off, are being scaled back. At least four of the 12 stadiums are destined to be white elephants, according to the government’s own Accounting Court. The main beneficiaries so far are construction companies, who not coincidentally are among the biggest contributors to Brazil’s politicians. I’ve written about this in a long Reuters piece that is now online. The piece focuses on the promised transparency and how authorities have failed to provide reliable, up-to-date, and clear information on spending. “But it doesn’t matter if you’re on the sofa, in the kitchen, or at the office, no one knows how much this is costing,” he added. So, Lula, Teixeira, Orlando Silva. We’re holding you to that commitment. What now? The Brazilian press are today focusing on, or perhaps I should say, celebrating, the condemnation of Jose Dirceu, Lula’s former chief of staff who was this week found guilty of corruption in Brazil’s mensalao trial. The focus for foreign journalists is quite different. We are writing about what this means. Here’s my piece in today’s Time.com. It’s perhaps best summed up by this quote, from Christopher Garman of the Eurasia consultancy group. Another good piece well worth a read is by Simon Romero of the NYT. His piece is here and deals with the mensalao and Brazil’s justice system in general. Meanwhile, this piece on Reuters deals with what this means to (the once teflon?) Lula. If a picture is worth a 1000 words then a whole political biography can be rewritten by the photo on the left. Specifically, the biography of Lula and the Workers’ Party. Their decision to join forces with Paulo Maluf is incomprehensible for a party that was once an oasis of ethics in Brazil’s political desert. Maluf, the former SP mayor who is the personification of Brazil’s nefarious politics, boasts he has never been convicted of a crime but that is more down to Brazil’s political and judicial system than anything else. He cannot leave the country because he is wanted by Interpol for money laundering and other crimes. The PT’s decision to form an alliance with him is the most graphic illustration of how the the party and its leader have give up any pretense to uphold ethics or ideology. That’s heart-breakingly sad. For decades, the PT boasted that when and if it took power it would do things differently. It hasn’t. And the alliance with Maluf is a sad confirmation of its demise. The National is a newspaper based in Abu Dhabi. I’ve been writing occasional business pieces for them from Brazil for just over a year. The latest came out today and is a broad piece that seeks to explain how Brazil managed to overtake the United Kingdom as the world’s sixth biggest economy. Read the whole story here. It’s a big subject and hard to cover in 900 words but I identify two basic reasons for the turnaround. The huge increase in commodities production for hungry markets such as China and India, and a series of smart economic policies that have tamed inflation, helped cut inequality, and fostered a big upturn in domestic consumption, particularly among the country’s poor. The first part is mostly luck. 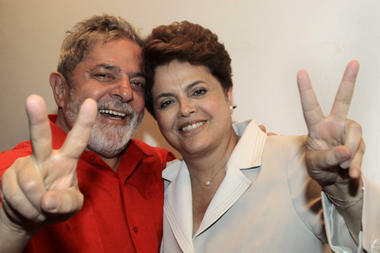 The second part is thanks to Brazil’s last two presidents. 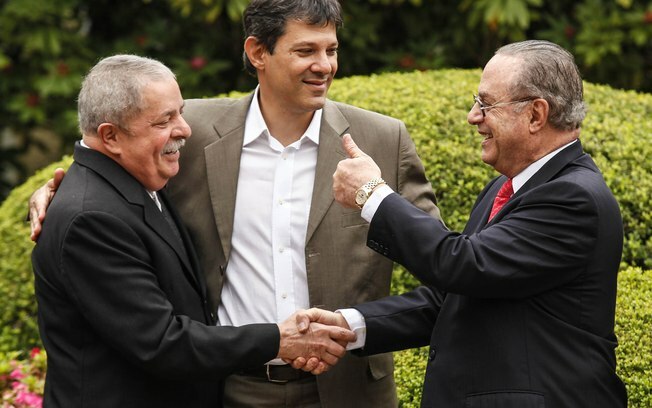 For years now I have been arguing with leftists who think that all Brazil’s progress is down to Lula and conservatives who say none of this was possible without his predecessor Fernando Henrique Cardoso. The foundations were laid at the second half of the 1990s by the former president Fernando Henrique Cardoso, who introduced a stable new currency and tamed inflation that reached 1,477 per cent a year at its peak. His successor, Luiz Inacio Lula da Silva, built on that base and sped up moves to reduce inequality. Mr Lula expanded the Bolsa Familia programme that gives a monthly stipend to poor families who ensure their children stay in school and today more than 13 million households rely on the handout. At the same time, Lula bumped up the minimum wage and created jobs, reducing unemployment from 13 per cent in 2004 to less than 5 per cent today. All told, more people – and particularly the poor – have more money to spend, giving a significant fillip to internal production and the domestic market. Brazilians were understandably delighted at overtaking the UK and they are right to celebrate what is a remarkable achievement. But they shouldn’t get too excited. Brazil needs to improve its record on crime, infrastructure, human rights, public transport and a host of other social measures, especially inequality. With less than two weeks to go before Lula leaves office, the season of retrospectives is upon us. Many newspapers and magazines have issued special supplements looking back over Lula’s fascinating, largely successful and always eventful eight years in power. Lula is the consummate politician and loves being centre stage. He loves to talk and he loves the attention. Some believe he hand-picked a relatively unknown civil servant to succeed him in order to make it easier for him to run again in four years time. Those rumours took on a new lease of life this week after Lula told a local TV channel he did not rule out another presidential bid in 2014. The timing undermines Dilma Rousseff, who has not commented on the interview (or much else for that matter). Mr Lula da Silva is charming and folksy and famous for saying one thing one day and something completely different the next, often depending on the audience in front of him. Just last month he called speculation he might run again “small-minded” and said Brazilians should be discussing 2011 and not 2014. That completely contradicts what he told Rede TV. So which Lula to believe? Another example of the contradictions surround Lula’s immediate future. He has hinted variously that he will work for Africa, take on a role at an international organization, focus on eradicating world poverty, and put his feet up and relax. Of course, he can do all of those things. But he has told different audiences different things. A more worrying example of his mixed messages are in his future dealings with Rousseff. He offered her advice and then vowed not to interfere in her administration. Then he said he will help her if she needs him. And all this in spite of the fact that he has spent the best part of eight years telling his predecessor that ex-presidents should be seen and not heard. Time will tell where Lula goes and what he does. But I can’t see him bowing out quietly. There have been many acts in Lula’s storybook life. I think (and hope) there are more to come. Lula to Replace Kirchner at Unasul? The death of Nestor Kirchner has left a leadership void in Unasul and it is one that some analysts believe Lula could be well suited to fill. The Union of South American Nations is made up of 12 regional countries and essentially seeks to do for South America what the European Union did for Europe. It wants to create a single South American market with no import tariffs, a common currency and more regional infrastructure. It also proposes free movement of workers among the member nations and a common defense policy. This recent piece by the Council of Hemispheric Affairs gives an interesting outline of where Unasul now stands, especially in relation to Dilma Rousseff’s new government. It doesn’t mention Lula as a possible successor to Kirchner. I am not sure how widepread these rumours are or if they should be given any credence but two separate political analysts have suggested to me over the last couple of days that Lula might be interested in taking over as Secretary General of Unasul. Lula would like to head an international body but he’s no chance of taking over at the IMF or the World Bank, as some have speculated. This might be a good alternative. COHA also has a piece here entitled Challenges Ahead for Brazil’s First Female President. Dilma is the new president. Here’s my piece from Time on her election and what her government might be like. And here’s another one of my offerings with a bit more analysis on the Christian Science Monitor website. The AP have a good piece here from the always reliable Bradley Brooks and the NYT’s offering is here. 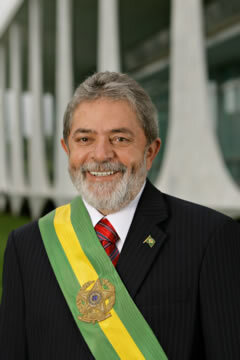 Brazil has chosen the film ‘Lula, the Son of Brazil’ to represent the country at next year’s Oscars. The Academy of Motion Picture Arts and Sciences will announce which films are finalists in the Beast Foreign Language category on January 25. ‘Lula, the Son of Brazil’ will not be among them. I watched the film alongside Lula at a special premiere in his adopted hometown of São Bernardo do Campo in December last year. “I was not so much disappointed – I never thought it would be good – as indifferent. The two-hour long flick was overdone and melodramatic in a style that is way too reminiscent of Brazil’s popular soap operas. But in spite of all that drama and emotion the movie did not capture me as I thought it could have. It jumped from remarkable episode to remarkable episode with little in the way of context. And although the acting is good, particularly Rui Ricardo Dias, who plays Lula, the film just dragged on. 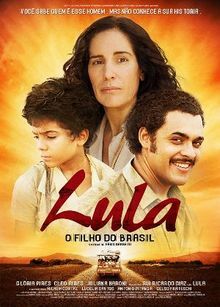 There was no outstanding Brazilian film this year, which goes some way to explaining why Lula might have got the nod. There was no City of God or no Tropa de Elite, for example. I personally think the choice was in part political. Lula is well known and well liked overseas and the Brazilian jury could consider that relevant, as Fernando Mereilles, the director of City of God, says in this Folha piece yesterday. The fact that the Academy has a positive view of Brazil and the president can only be good for the film’s chances. Some 1.1 million people have seen the film so far, considerably less than the filmmakers had hoped. But the Academy are no mugs. This won’t make the final five.